For those who want a coffee table that blends form and function beautifully, the Saints Coffee Table from Zuo Modern serves as an excellent option. This top-of-the-line coffee table boasts a mid-century modern design and rectangular MDF top that give the piece a timeless look and feel. Also, the coffee table features warm walnut wood finishes and black metal accents that make a bold statement day after day. When it comes to boosting the quality of your living room's d�cor, the Saints Coffee Table is sure to meet your design needs perfectly. 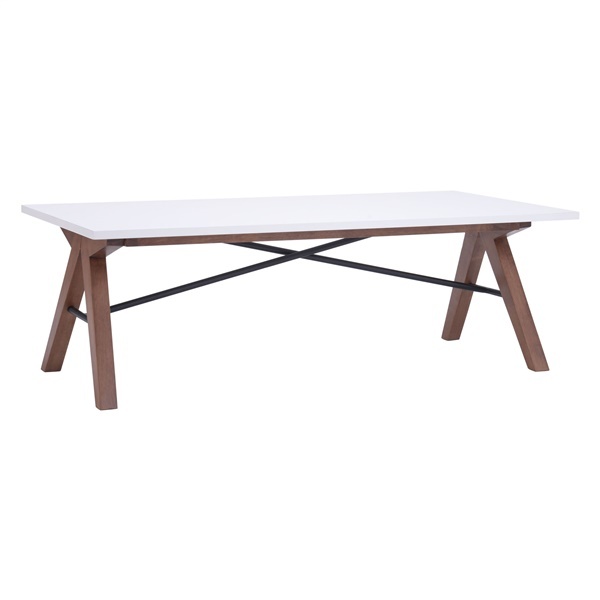 Delivers a mid-century modern design that helps the table stand out in any contemporary living room. Features warm walnut wood finishes and black metal accents that make a bold statement day after day. Includes a rectangular MDF top that will maintain its quality for years to come. Superb construction gives the table a one-of-a-kind look and feel. I love the overall look of this table and the construction is sturdy. It's also super easy to put together. 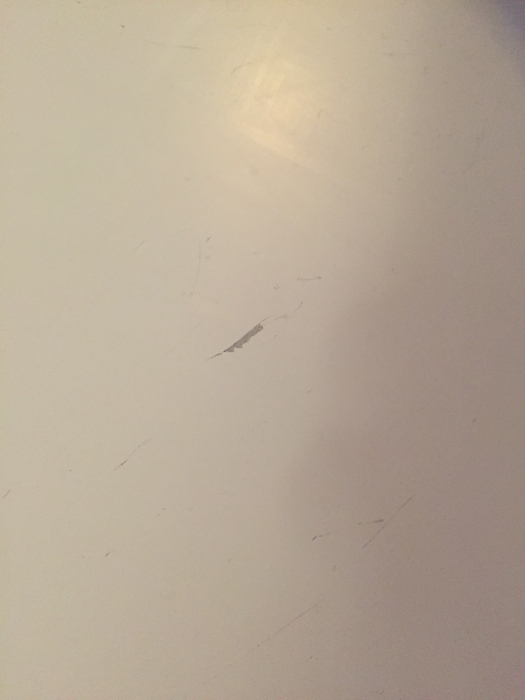 The problem is that with normal wear, the top chips, scratches, and marks VERY easily. 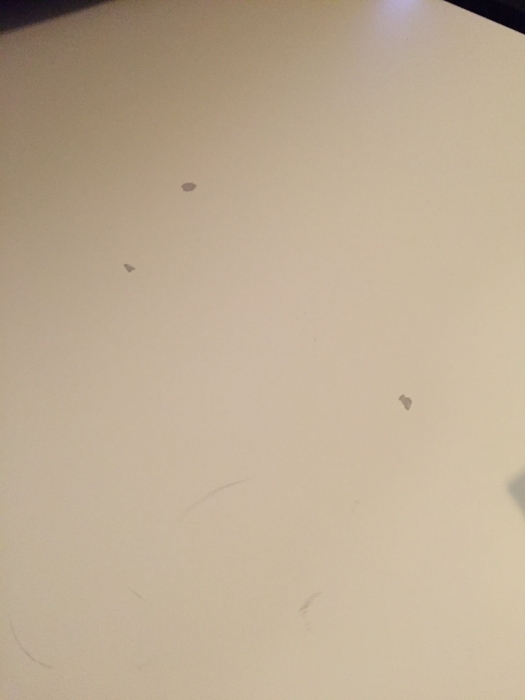 Within a month, the top looked pretty bad (see pictures). For this price, this should not happen. We are already talking about how to fix it or what to replace the top with!